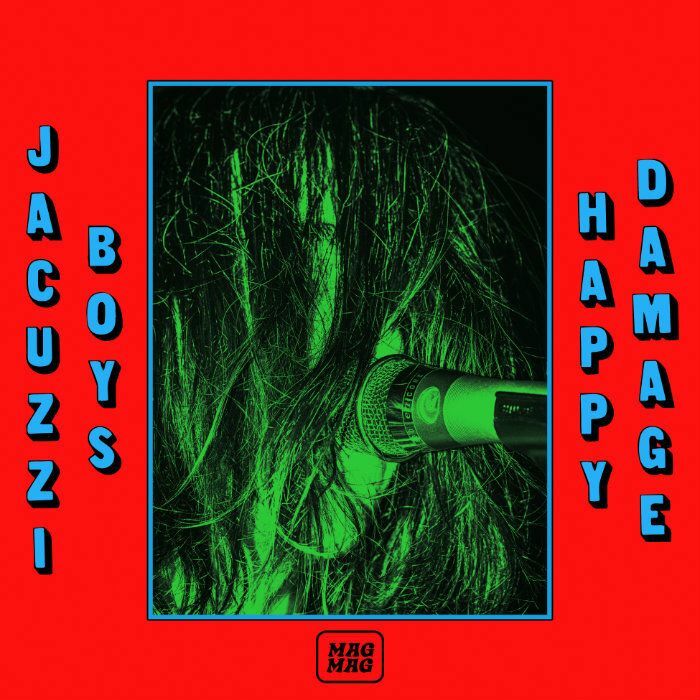 Premiere: Watch Jacuzzi Boys Travel the Country in "Happy Damage"
Miami rock band Jacuzzi Boys' video for "Happy Damage," shot over the course of a brief tour across California by Dustin Aksland capturing the group's live show and some of the people they encountered on tour. The corresponding Happy Damage EP represents the band's return to rock simplicity. "It sorta just happened naturally," says bassist Danny Gonzalez. "But I guess after experimenting quite a bit on the last record we felt like writing tunes built for a three piece to bang out." It's also a coming-out party of sorts for the band's new record label, Mag Mag, which will put out not only their own music, but material from friends and collaborators as well. The band had been interested in starting a label for a while, Gonzalez says, and finally felt like it "made sense." Though a label gives them much more flexibility, it's still unclear exactly what kind of stuff will be released through Mag Mag. "We're gonna start with our own stuff and see how it goes," Gonzalez says. Watch the video for "Happy Damage" below.